Summary: This article discusses the clothing and other items most missionaries will need to bring on a mission for The Church of Jesus Christ of Latter-day Saints. See your mission call letter for more details on what you’ll need for your specific mission. The General Instructions Checklist that you get in your mission call letter will tell you in more detail the clothing, luggage, and other items you will need to bring with you on your mission. There are slight variations between missions, and the letter from your mission president will advise you if that is that case. For the most part, though, the clothing, toiletries, and other items each missionary will need to bring on your mission is relatively standard. Also be advised to follow the missionary dress and grooming standards (which were updated in July 2013 to allow greater flexibility and more modern styles) when buying clothes for your mission. 2 Pairs of thick-soled, comfortable, conservative shoes. 4 – 5 Outfits of modest design: blouses, skirts, dresses, jackets, vests, jumpers, suits. Mid-calf length. Nothing tight-fitting, or baggy; no wrap-around skirts, t-shirts, polo-shirts, denims, or leathers. Of course you will need luggage to carry your clothes and personal belongings. It is suggested that missionaries bring 3 pieces of luggage that follow these guidelines: Two large suitcases (that you could check at the airport) and one smaller bag (a carry-on). The two larger suitcases should be no larger than 62 dimensional inches (height plus width plus depth), and no heavier than 50 pounds. The smaller, carry-on bag should be no larger than 45 dimensional inches, and no heavier than 35 pounds. For more information on what to bring to the MTC, including more details on luggage, clothing, and technology, as well as information on travel to the MTC and advice for family and friends, see the Missionaries page on the Provo MTC website. For information on how much you can expect to spend on clothing and other items, see my related article: Cost To Get Ready To Go On A Mission. If you are having a hard time finding sister missionary clothing, check out Sorella Bella – the online store for sister missionaries. Is pepper spray considered a weapon? I personally don’t see anything wrong with pepper spray. I think it would be a good idea for missionaries, especially sisters in dangerous areas, to carry it. But you should probably talk to your mission president about it. Pepper spray is an illegal weapon in many countries, and bringing it into a country is considered “an importation of arms and an offensive weapon” which could lead to a conviction for the importation of an illegal weapon , a spell in prison, a criminal record, a fine and the early end to a mission. I know arrested a person for that at the border (thankfully not a missionary just a girl who did not know the law).So think safe, but think inside the law. God commanded us not to fear man Jesus was going to be pushed off of a cliff and it says that he walked through the crowd because it was not his time I don’t think pepper spray is needed seeing that Jesus commanded us not to resist evil. How do you guys get your dress clothes staying so nice and white? I wear white dress shirts all the time and they’re grungy and dirty by the end of the day when I come home from work, and my dress pants tend to fade a lot after a bunch of washings. You might want to reconsider your advertising on this website. The seductive blond for “Twin Peaks” (really?) may be a bit of a distraction for the hundreds of young men who are getting ready to embark on their missions for the Lord. Thanks for bringing this up. You, and everyone in the audience, should know that the ads are served up by Google and are different for every visitor that comes to the site. Google tries to customize the ads with those it thinks you will have the highest likelihood of clicking. If you ever see an inappropriate ad, you can get rid of it by clicking the “x” in the corner of the ad. Or, if there is no “x” to click, there should be a link to Google Ad Choices, which tells you how to set your preferences for the types of ads you will and will not see. When I’ve done this, I never see the inappropriate ads again. I hope this helps. In most cases (including mine) Google curtails your ads to your search history. For instance, I shop on Amazon very often so Amazon always takes my top spots. Be careful, the internet a’int your grandmas bookshelf! This is a great site. I recommend all the new missionaries I meet with to check this place out. I work for MissionShoe and anyone who comes to this site can use coupon code: MS13GO to get 15% off all of our inventory. Another potential missionary shoe is the Rossi Chef 351, 321 and 324 made in Australia. It is designed for those who work in the hospitality industry, and are on their feet all day. http://www.rossi.com.au I have two pairs of the Chef 351, and are really comfortable and very durable, when looked after. The only thing to remember is to get the right shoe size. The Rossi shoe range follow the UK sizing system. To make the leather last longer, smear a liberal amount of Dubbin (Kiwi polish) all over the uppers, and into the seams and welts. Place the shoes in a warm place like outside in the sun for about 10 to 15 minutes to allow the Dubbin to absorbed into the leather. Then wipe and buff with a clean soft cloth. Repeat for second time. The Dubbin will waterproof the shoes, and will make the leather more supple and less likely to crack or split. Regular polishing will keep the shoes in good order. Evidently, it is now showing on the LDS official website under the missionary clothing list that backpacks are no longer acceptable. The examples shown are satchels. Just so that you can check it out and update your list. I am not sure if there are exceptions for each mission to this rule, but just thought it might save some money in the long run. I’m doing a project on Missionary work and I was wondering if you could give me a list of things that the average Missionary carries in their backpack. Or should I say satchels rather than backpacks. Well, I can’t speak for everyone, but when I was a missionary, I carried my personal set up scriptures, a couple of copies of the Book of Mormon to give away, and the flip chart of pictures that went along with the discussions. I need you to answer this question like right now. I leave on my mission tomorrow (Jan 1st, 2014) and I am wondering if I am allowed to bring work out equipment. Like a pull up bar and things like that? Yes, I think it is allowed, but you will want to keep it limited. Missionaries don’t have a lot of extra space in their suitcases. You are not allowed to bring sports equipment like footballs and Frisbees, but a small amount of exercise equipment is ok. Just remember, everything you bring with you, you will have to transport from city to city, area to area, throughout your mission as you are transferred from one place to another. Many missionaries, soon into their missions, get rid of anything excess in order to lighten their suitcases. So be sure the exercise equipment is something you will use regularly. Otherwise, you might just want to leave it behind and just plan on doing push ups and jogging and other things that don’t require equipment. Good luck, and God bless you on your mission. I have short term memory, so does the rules apply if you take a ipod to write down and remember stuff on it? Electronic devices, such as an iPad or cell phone, are not allowed. iPods can be brought on the mission to use for listening to music appropriate for a missionary (Mormon Tabernacle Choir, etc.). If you need a special exemption due to your memory issue, you’ll have to talk to your mission president. I often see a lot of Missionaries come into the library where I work, and I applaud them dressing respectfully. I am Methodist but have talked with some of the Sisters and a few other friends in the church and really like the message they share. Keep up the good work! God Bless! Thanks Nicholas. We appreciate your kind words. May God bless you. Are all musical instruments forbidden? any exception? small ones, like flutes or travel guitars or mandolins? I’m planning for my mission early my papers are almost ready to be handed in but i was just wondering if anyone knew a good trustworthy site that has suitable clothing for sister missionaries? Mikarose is fantastic! And they give a discount for women who are shopping for their mission. Today we sadly had 2 missionaries die of CO poisoning. I hope that a simple CO and Smoke detector device is not banned. These are easy to buy and can be plugged into power or battery operated. If they are not on the “approved” list of items, they should be. In fact, they should be mandatory. Hi Jimmy, I have a quick question. I recently received my call the Barcelona Spain (report March 3, 2015), and I was curious if you have a clarification on what “hobby” equipment is meant to include. I tap dance for exercise (cardio) and I’m curious if tap shoes would be considered inappropriate for an elder to bring. I don’t think there would be anything wrong with you bringing your tap shoes, but you may want to ask your mission president to make sure. Also, you’ll need to take into consideration suit case space. Missionaries are limited on what they can bring. You have to prioritize in order to fit everything that is the most important. Good luck, and God bless you on your mission. See gift ideas on my post about care packages. Are You Allowed To Bring A Digital Watch?? Yes, a digital watch is ok. Personally, I would think that a FitBit is okay to bring on your mission. I’ve never seen any Church guidelines for or against it. I would check with your mission president to see what he thinks. Good luck and God be with you on your mission. What if the watch tracks your steps/ health and time is that allowed in the mission field?? You’d better consult with your mission president. An Apple Watch, for example, would probably not be allowed. I don’t see a big problem with a watch that tracks your steps, so long as it’s not a distraction from the missionary work. But your mission president would have the final say. If you’re in an iPad mission, the Apple Watch very well may be allowed. You’ll just want to check with your mission president. Double check your facts on an apple watch. I have one and it requires an iPhone 5x or higher. No worky with iPad. I have iPhone and iPad. Pretty sure about this. I recommend a withings pulse O2 or a Fitbit. I have the withings. My son just got called to Puerto Rico San Juan. Since this is very humid and tropical should we adjust the clothing to more short sleeved shirts and maybe one suit as I assume they wouldn’t wear suits as often there? I am preparing my things to bring to my mission (though I just submitted my paper to my stake president). One of the things that I am planning to bring is my camera. I bought a camera (a point and shoot) but I sold it to be able to buy a better one. I bought a good camera a DSLR-ish camera. ( I am a photography enthusiast btw) It’s model is SOny H200. It is quite bigger but not as big as DSLR. However, the missionary in my ward told me that that camera will not be allowed in mission. This confuses me because according to the materials that I have read, there is no specific rule in bringing a camera (except that it shouldnt be fancy). Hi I leave in March for my mission and I was wanting to purchase a Fitbit flex before I leave. Would those be allowed or not? Check out RailtekBelts.com for great no-hole leather belts that adjust well with missionary’s fluctuating weight. Hi, I’m Preparing to serve a mission and was wondering how long before your availability date and when you can send your papers in? I’ve heard 90 day, 120 days, and six months. My understanding is that it is 120 days. A few year ago, it was 90, but when they lowered the age in 2012, there was a large influx of applications and the church needed more time to process them, so they increased it to 120 days. Check out my article about the mission application timeline for more details. Good luck, and God bless you on your mission. Hi, I’m currently working on my mission papers and getting ready to submit them. I have a mild case of colorblindness, so I wear colorblind glasses to help me see color better, but the glasses aren’t considered prescription glasses. Do you know if I would be allowed to wear them while I’m on my mission? Chad, I can’t imagine there would be any problem with you wearing your colorblindness glasses on your mission. Are we allowed to wear fitbits on the mission but obviously just not have it connected to a phone! Halley, I don’t imagine there would be a problem with wearing a FitBit. But just to be sure, you may want to check with your mission president. Our son is preparing to leave on his mission, and the weight limit for his checked bags in 50lbs (not 70 as stated in this article). Just FYI. Thanks for all this great information! It really helps when you’ve never done this before! Thanks for the heads up. I have corrected the information on the page. I’m preparing to go on a mission, and I was wondering if I can bring a Smart watch with me. If not then a Fitbit. I don’t know for sure, but I’m guessing the Church would say no to a smart watch. Smart phones, iPhones and Android, are not to be brought on a mission. In some cases, in some missions, missionaries are given a phone, but you are not supposed to bring your own. Most smart watches aren’t much good without the accompanying smart phone. But if the watch works on its own, simply as a watch with a few other features but no internet connection or way to use it to communicate, then perhaps it would be fine. On it’s own, the smart watch wouldn’t be much different than many other watches that would be acceptable for missionaries. Still, you may want to check with your mission’s office before bringing a smart watch–the FitBit as well. The FitBit could be okay, but if it distracted you from missionary work, then that would not be good. Please let us know what you find out. Good luck and God bless. Why are musical Instruments banned? The way I see it, music can provide a very spiritual experience among people and may help with conversion. The reasoning behind many rules is not explained, but we can often make logical guesses. I see what you are saying about the potential benefits of musical instruments, but I can also see the potential downside. If every missionary brought a musical instrument, there would be additional transportation costs and baggage fees. 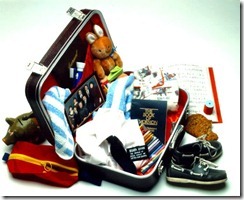 Missionaries have to pack light, so all non-essentials need to be left at home. Also, if missionaries had musical instruments with them throughout the mission, I could see it being a distraction for many of them and cause them to not stay as focused as they should on their studies and missionary work. Missionaries just have to be content with the musical instrument that they always have with them, their voice. Are missionaries allowed to bring DSLR cameras? I don’t know for sure, so if you hear anything official from the church, please let me know. My guess is, however, that the church would discourage DSLR cameras. Your mission is a time to focus on the work of the Lord, sharing the gospel of Jesus Christ, and building up the kingdom of God. The church wants missionaries to focus on that with minimal distractions. Taking pictures of the people and places where you serve is good, but it would not be good to be overly occupied with taking professional quality pictures in your mission. I believe the church recommends missionaries bring a simple, inexpensive, small digital camera.